Setup and work in a dust-free environment with little or no wind, and out of direct sunlight. 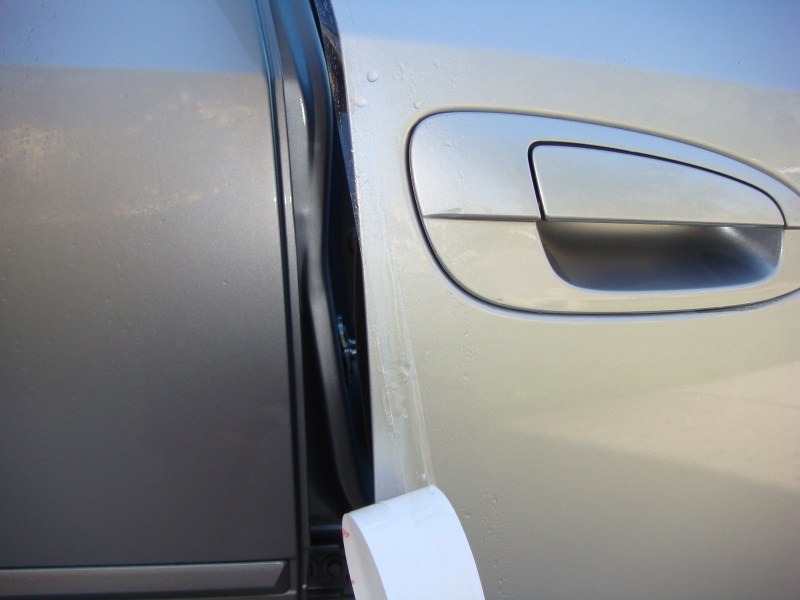 Be sure the painted surfaces to be covered are both clean, dry and free of wax residue. Pre-mix the water-alcohol solution before you begin. Use the images below for a better understanding of our instructions. First, clean the door edge with the alcohol solution. Be sure to clean the inside and outside. Once clean, wet the entire area with the alcohol solution, don't dry. 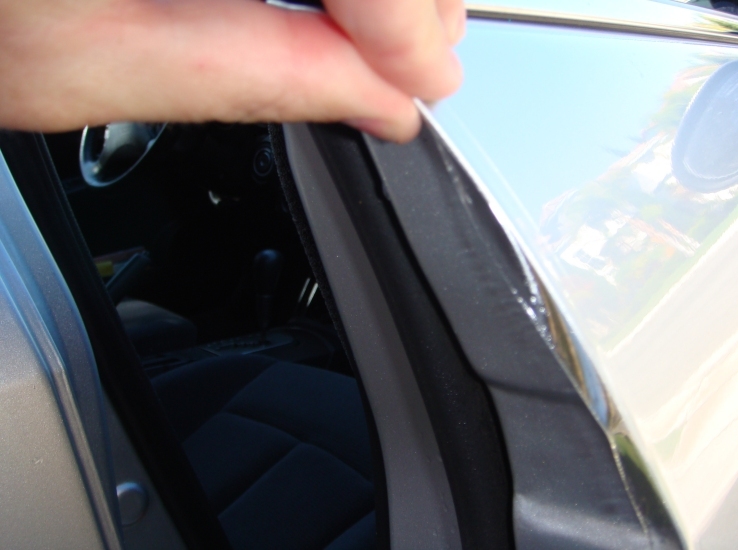 Remove about an inch of the film from the backing and place the door edge film towards or at the top of your door. About half of the film should be on the door and half should be hanging off the door. Use your squeegee to tack this area down. Work your way down the door a few inches at a time in a nice even line. 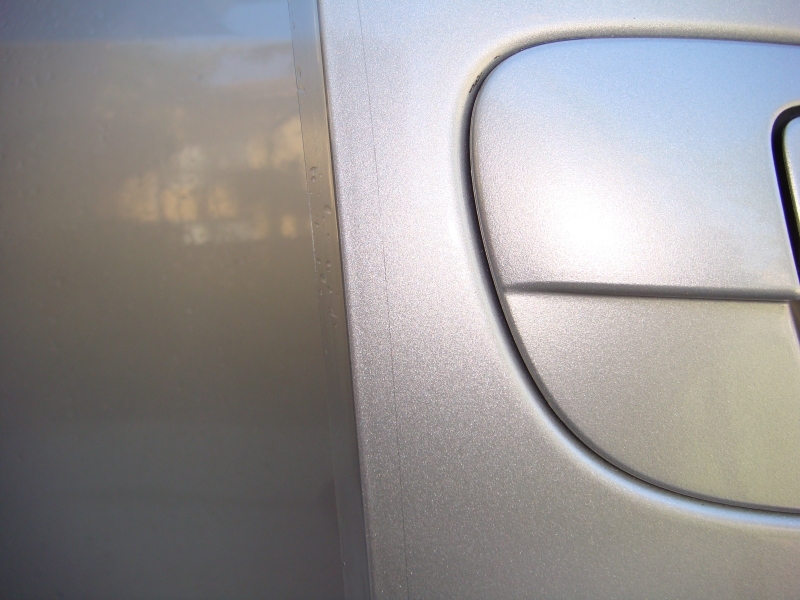 The film can stretch and work it's way around curves and contoured parts of the door. If the curve is too extreme or the door has molding on it you can cut the door edge guard with sharp scissors and start a new piece below the molding or curve. 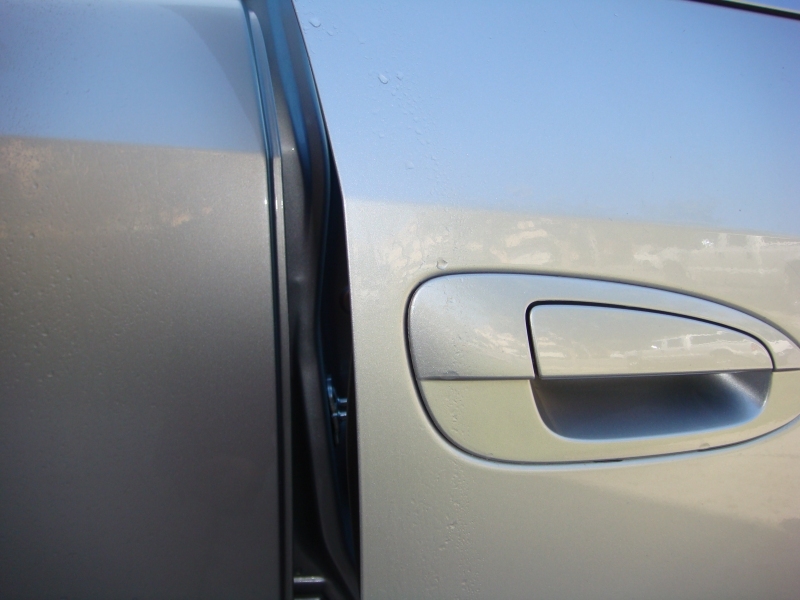 Note: Our door edge guards are generic pieces not specific to any car but they will work on 99% of the vehicles that exist. Once you have worked your way to the bottom of the door you can cut the remaining film with scissors. Another option is to cut the film prior to installing it but it can be difficult to measure if there are contours in the door. Now that you have applied the film to the outside edge of the door and squeegeed it down you can now begin to roll the film around the door edge into the inside. Be sure to press firmly and try not to leave any air pockets. 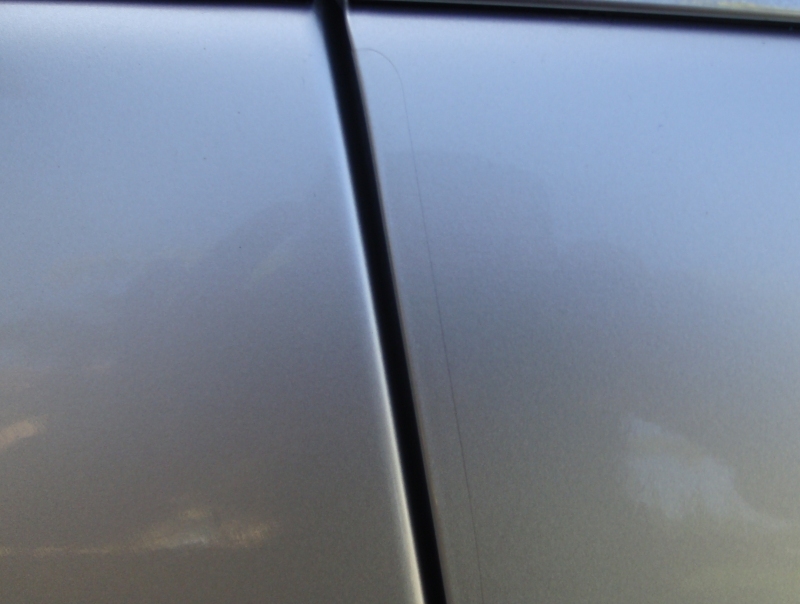 If you need to lift it back up you can do so as long as you spray more alcohol solution on the adhesive side. You may need to hold the film with your fingers for several seconds for it to adhere. That is all there is to it ! !